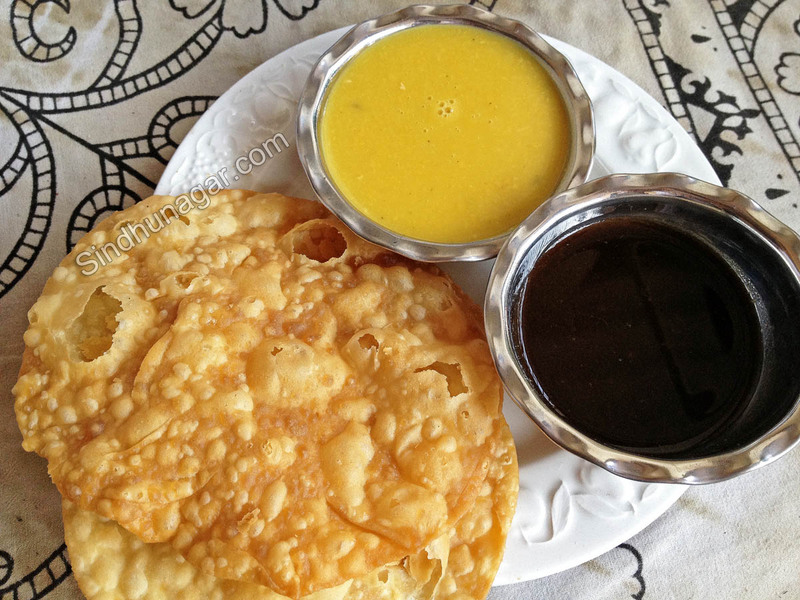 Shri Hundomal Nasta House is a famous place to enjoy breakfast at most affordable rates in Ulhasnagar. Nashta is very light on your pocket and Lite on your stomach. You must try this to believe it. You’ll find huge crowd coming to this shop every morning and evening for tasty Sindhi Dal Pakwan and Dal Sandwich. 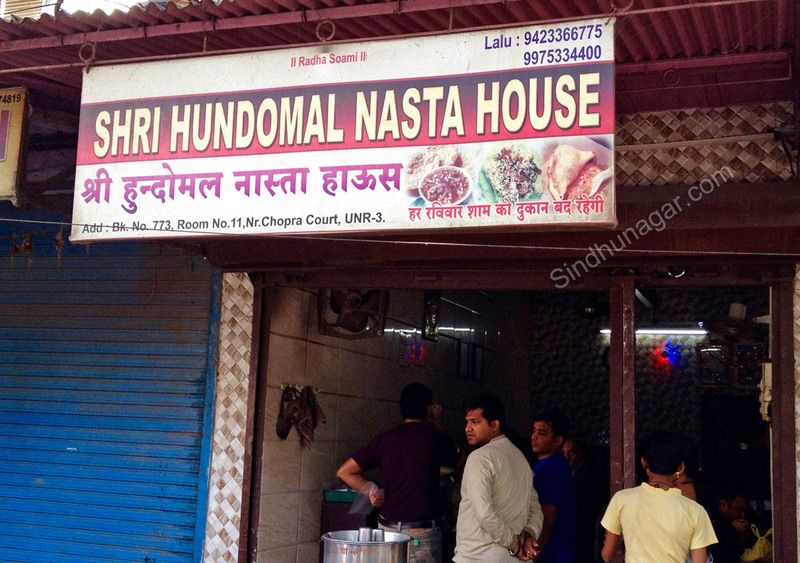 Shri Hundomal Nasta House is family managed very simple breakfast shop & successfully running for more than 40 years now. 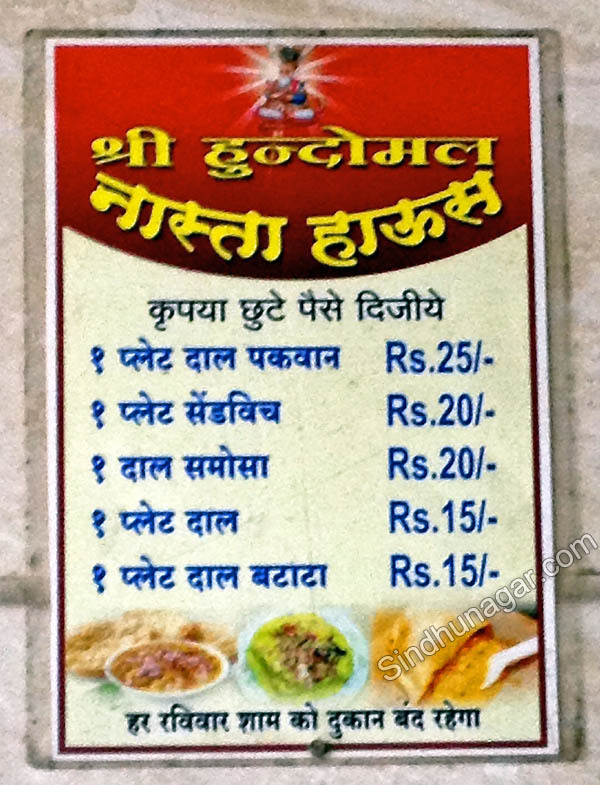 Shri Hundomal Nasta House Menu Card will blow you away. How can somebody offer you Dal Pakwan with Chutney at only Rs. 25? Visit this place. There is no hidden kitchen. All food is prepared in front of your eyes. Taste it and you’ll experience authentic homely Sindhi taste in Dal Pakwan. It is not very spicy so even toddlers and kids can enjoy it. Of course you can add spice quotient by topping it up with spicy chutney. For Rs. 25 you get two medium size Pakwans, a bowl full of dal and chutney. Shri Hundomal Nasta House Shop is closed on Sunday evenings. In KOPRI COLONY Thane(east) it cost you Rs !0. Do you take party orders? 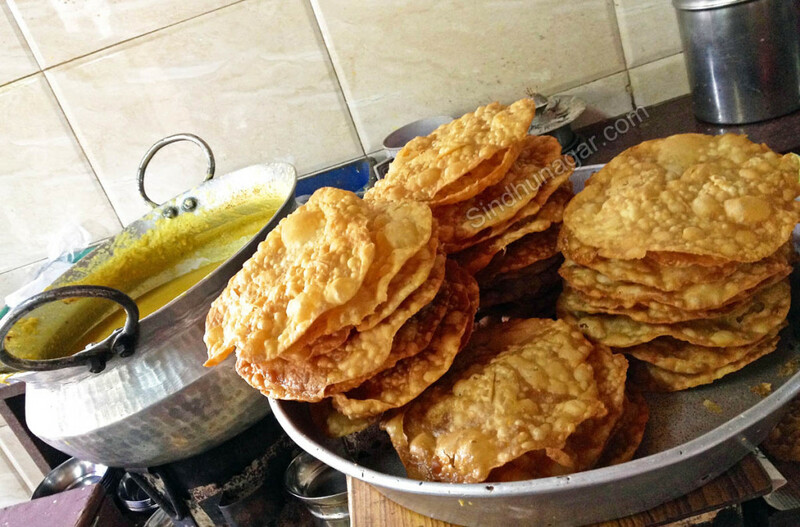 VERY NICE…TASTES LIKE HOME MADE…GOOD QUANTITY…I TRAVEL 8KM FROM AMBERNATH TO TAKE FOR HOME… KEEP IT UP..